Barangay Merville lies along the boundary line of the cities of Parañaque and Pasay, on the Northeast part of Parañaque. It is bounded in the East by South Superhighway, in the West by Barangay Moonwalk and in the South by Barangay Sun Valley. 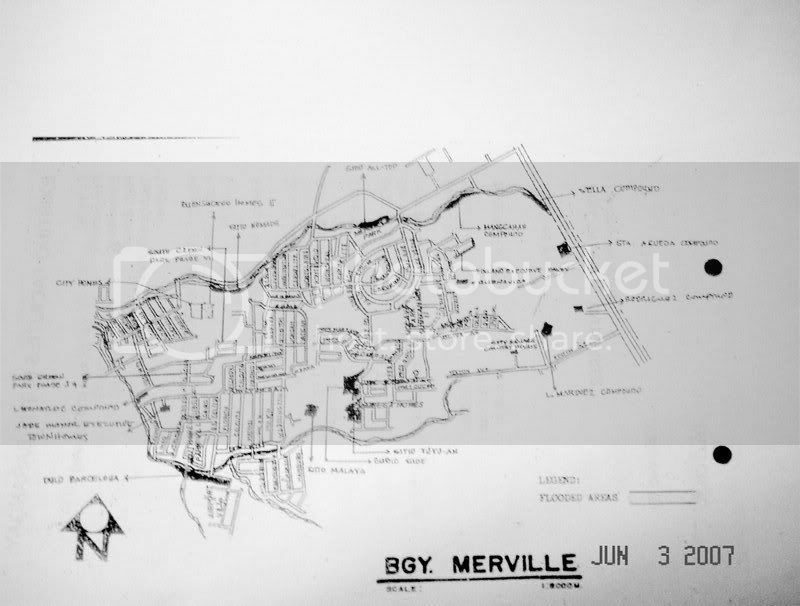 Barangay Merville was created by virtue of Presidential Decree No. 1325 on April 3, 1978, separating it from Barangay La Huerta. C. LAND RESOURCES: Barangay Merville occupies an aggregate land area of 304.47 hectares. The barangay is presently composed of eighteen (18) villages/subdivisions and eleven (11) mission areas. 2. Sitio Tuyu-an Purok Chairman: Fausto Dongcoy, Jr.
9. Sitio All-Top Purok Chairman: Jose Ramos, Sr.